Police arrested Casey Jesson, 31, on charges of felony assault, two counts of simple assault, two counts of criminal trespassing and criminal mischief. The criminal mischief charge was added after Jesson damaged a cell wall at the Derry Police Department while being detained in a padded cell. Yesterday Joyce said he learned that Jesson is the son of an old friend and town employee, Mike Jesson, who works for the Parks and Recreation Department. “He was our class president at Pinker­ton, Class of 1970. We used to hang out together. I went looking for him earlier, to tell him I had no hard feelings. I also wanted to tell him not to bail his son out. I have too many friends,” Joyce said. Joyce, right, pictured with her brother, Christopher Floyd. On Tuesday afternoon at about 4 p.m., Casey Jesson wandered into the Joyce’s yard, which backs up to the town owned Gallien’s Beach and adjacent parking lot. They live in the longtime homestead of the Gallien family, his wife’s grandparents. “Annette was in the kitchen doing dishes, visiting with a friend when she heard this guy yelling and hollering outside, so she went out to see what was going on,” said Joyce. “He was high on something. He just kept saying, ‘My name’s Casey, and I wanna dance.’ He walked right by my wife and tried to get in the sliding door on our back deck, but he was trying the wrong door. That’s when I heard Annette calling for me,” said Joyce, a race car builder who was working in his shop. “They were all one color, like the kind you get in jail. He had a big centipede tattoo across his back. This guy was bigger than me and probably tougher than me, but I jumped him when he wouldn’t back off,” Joyce said. The two men struggled on the ground, but Annette Joyce told her husband to let Jesson go. Joyce tried to steer Jesson out of his yard and through a stockade fence that leads into the beach parking lot. With his wife screaming in pain on the ground, Joyce tackled Jesson and starting punching as hard as he could, with little effect. “I went for his head. I thought I had him knocked out at one point, but then he said, ‘Is that all you got?’ so I rolled him over and started punching him some more, his head, his chest, his stomach. It was like nothing could hurt him,” Joyce said. A switchblade fell out of Jesson’s pants pocket at some point during the struggle, and Joyce also saw what appeared to be a screwdriver on the ground that Jesson was going after. “By this time, all the people who were over at Gallien’s Beach saw what was happening, and they started to crowd around. I’m sure they didn’t know who the bad guy was the way I was punching him, but I put my hand up and said, ‘This guy just assaulted my wife. Someone call 911, even though I knew Annette had already managed to call police before she was knocked down,” Joyce said. Police arrived and cuffed Jesson and took him toward a squad car, but Jesson managed to wriggle free and climbed on the hood of the police car and then walked over the roof and down the back before police finally got him into the cruiser, Joyce said. Joyce said his wife may be home Friday. She had surgery to fix her broken hip, requiring two metal plates. Her arm was bandaged and appeared to be dislocated. 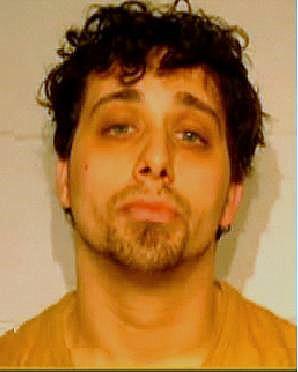 Jesson was arraigned at Derry District Court yesterday and bail was set at $100,000 cash bail. A probable cause hearing is scheduled for July 8 at Derry District Court. Jesson was also arrested in March by Derry police and charged with three counts of simple assault and one count of attempted second-degree assault.